John Wick is back in, and his next target could be you! The master assassin makes his debut in the Gallery PVC Diorama line with this scene from John Wick: Chapter 2, as he walks away from the Rome job. 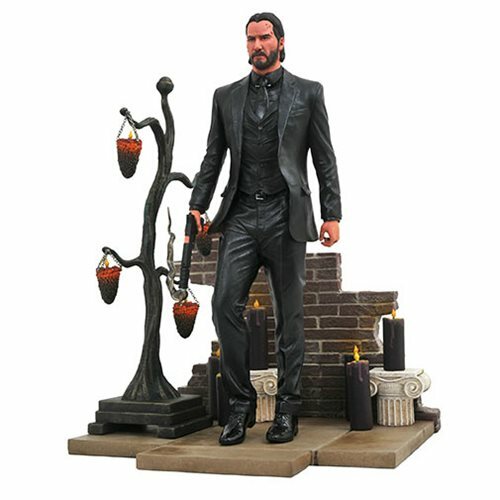 With smoke curling from his gun, this approximately 9-inch tall sculpture features the likeness of actor Keanu Reeves, and comes packaged in a full-color window box.